Sandra Murman was elected as a Hillsborough County Commissioner in 2010, and is now in her ninth year serving District 1. She was elected by her fellow commissioners as Chairman of the BOCC for 2017-18, and for 2014-2015. Prior to joining the County Commission, she completed eight years as a member of the Florida House of Representatives and was the first Republican Woman to hold the position of Speaker Pro-Tempore. As a longtime resident of Hillsborough County, Commissioner Murman focuses on economic development and creating jobs as a public policy leader; transportation, where she works with local leaders to craft future effective transportation policy; ending homelessness in the county; fighting the opioid crisis locally; tackling human trafficking through awareness and education; addressing mental health issues through a successful Jail Diversion Program; and providing high-quality critical children’s services in the county through her creation of a Blue Ribbon Committee for Child Safety. She has been directly involved in more than 30 organizations that support our community and enhance the lives of children and families. She is very involved in Junior Achievement; she is a founder of the Women’s Conference of Florida and the Women’s Exchange; she spearheaded the campaign to build the Glazer Children’s Museum and she works with children in foster care through the Children’s Home Network and is a Guardian ad Litem. She is a graduate of Indiana University with a Bachelor of Arts degree in Marketing. She is married to attorney Jim Murman of Barr, Murman, Tonelli, P.A. and they have a daughter, Michele, who graduated from FSU and is married to Dr. Michael Bradner of Tampa. They have two children. TAMPA – Are you ever curious about the real lives of politicians, celebrities, local newsmakers and athletes? Each Tuesday, ABC Action News asks 10 questions of a Bay area leader, politician or even national celebrity. We go beyond the questions that are news of the day. After all sometimes, we want know more about them. What’s their favorite music? Biggest regret? And who do they look up to? This week, we hear from Hillsborough County Commissioner, Sandy Murman. Murman also serves as the Vice Chair for the Board Of County Commissioners; she was elected to the position by her fellow peers in 2011 and 2012. I have known Commissioner Murman for years now and I must say I am so impressed with her tireless efforts to protect children. Currently, she represents District 1. She won the post in 2010 and according to her bio was re-elected without opposition in June 2012. Prior to joining the County Commission, Murman served eight years in the Florida House of Representatives. 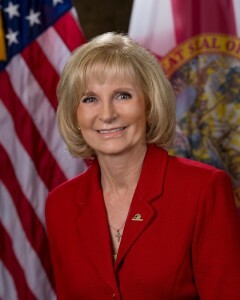 During her time in the Legislature, Representative Murman was the first Republican Woman to hold the position of Speaker Pro-Tempore in the Florida House. 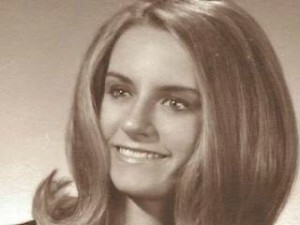 While in Tallahassee, she was passionate on numerous issues, including nursing shortages. She also focused on issues affecting the elderly, Murman worked on long term care reform for elderly services and nursing home litigation reform. And she also focused on child protective services and foster care. She spearheaded growth management legislation to address school facility issues, financial practice reviews of our school districts, and keeping adult entertainment establishments from being located near schools and children and led the effort to protect abandoned babies. While Commissioner Murman is not from here originally, she’s an Indiana native. But she calls Hillsborough County home. She’s lived here for more than 35 years. She has dedicated her life to politics and to serving the community as a volunteer. She said she has been directly involved in close to two dozen organizations supporting the community. And a huge passion, to fulfill a life long dream – that dream to build a children’s museum. And that dream came true, after Murman said she spearheaded the Capital Campaign to raise $16 million to build the new Glazer Children’s Museum in downtown Tampa. She also served as Chair of the Board of Directors for the Museum. Commissioner Murman is heavily involved in the community and also serves and has served on many boards. Murman is married to a local attorney, Jim Murman of Barr, Murman, Tonelli, P.A.. They have one daughter, they are extremely proud of. Michele graduated from Florida State University and is currently a Certified Registered Nurse Anesthetist at Tampa General Hospital. 1. What is your all time favorite movie or song? 2. Do you have a Smartphone? If so, what’s your favorite app? 3. Who do you count as your mentor(s)? 6. What do you consider your greatest success? 7. Tell us something about you most people don’t know? 8. If you could have dinner with any three people, living or dead, who would they be? 9. What is in your fridge right now? 10. If you could have a different career, other then what you’re doing now, what would it be? I would run a large children’s organization for abused children in foster care and child victims of human trafficking. Please keep sending me your suggestions. I look forward to hearing from you! If you would like to suggest someone for 10 questions you can e-mail me at sfazan@abcactionnews.com. or “like” me on Facebook. To do that just head to abcactionnews.com/facebook … and find me under the favorites tab and click the “like” button. 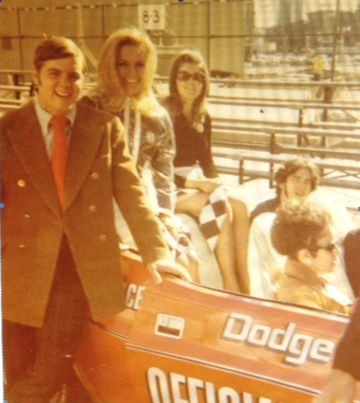 Before she was a member of the Hillsborough County Commission or the Florida House of Representatives, Sandy Murman was an Indianapolis 500 princess. In honor of this weekend’s 98th running of the Indy 500, Tampa Bay Times staff writer Caitlin Johnston chats with Murman about the similarities the race shares with Tampa’s treasured Gasparilla and how women can help one another become more involved in public policy. Growing up in Indiana, did you always know about the Indy 500 and the princesses? My dad was actually very involved with the Indianapolis 500. It’s very similar, probably, to Gasparilla here. You have people that belong to the society group and they help stage the events and all that. My older sister was a princess, so I knew I wanted to be one, absolutely. You know, you don’t want to be left out. So it was really great. What is it about being an Indy 500 princess that drew you to it? Riding around that racetrack, I thought that was so cool. And meeting the race drivers. I really liked that. I can’t remember who won that year, but that ride around that track still, to me, is an unforgettable moment. You’re in the car waving to the crowd. It was really something. Obviously Hoosiers have a very strong connection to the Indy 500. But what do you think it is about the race and the event itself that people get so excited about? Jim Nabors (performing) Back Home Again in Indiana. I mean, there’s so much tradition with that event. And actually, I still like race cars now because of that. But there’s just tremendous tradition there. Again, I see it kind of similarly with Gasparilla. You’ve got an age-old event that takes place every year, and it modernizes as it goes through time. It’s really good for the community. And actually, they do a lot through charity now, the Indianapolis 500 as well as Gasparilla. But it really has grown into something very special. Looking back on it, you are truly a representative of the event out in the community. That’s how I think of it. My daughter was in the Gasparilla court. I wanted her to have that same experience like I had in the Indianapolis 500. You get to meet so many people. All the doors that open up for you in life could be through people you met while being in something like that. It’s not just showcasing yourself because you’re a pretty girl or because you went to IU or something like that. It’s about the fact that you’re a representative and you’re an ambassador for the event. I’m sure some of those skills transferred to public service, being a representative for the county and for your people. And truly that was probably my first experience really being in the limelight and on the stage and doing that type of thing. It was good to go through that, because I realized I had talents. I liked being in the public eye. That has stuck with me forever. You’re very comfortable in the public sector and passionate about the work you do, but what is it that really motivates you to do this work? It’s really helping children. It’s helping our youth. I’m very committed to that. Always have been. I want to make our community the best it can be. I want this place to be the No. 1 spot in all of Florida that people want to live. And so we need to make our roads better. We need to have great parks and rec. Great rec centers. Great sports centers. We need to make things so that people who are paying taxes in our community, that we have stuff that’s affordable or free for them to go to … Whatever I can do to help improve anything that moves us ahead to being the best in the state, that’s what I’m going to do. It wasn’t too long ago that women held the majority on the commission. Now you’re the only woman on the board. How does that impact how you see your role or some of the causes you take on? It’s funny you should mention this. Karen Seel and I … we’ve formed a group. We call ourselves WE — the Women’s Exchange. We originally started meeting over a year ago because Karen and I are so disappointed in the numbers of women that are getting involved in public policy … We are going to create a database — this is going to be the key ingredient of WE — a database of public policy appointments, committees, boards. Could be private. Could be public. So if a woman says, “I want to apply for this,” then all of us that are mentors find out and we connect people that can help this individual get appointed. During your time in public service, have you seen things get better or worse for women? Just look at the statistics. Three percent of CEOs across the country are women. That’s not a good statistic. Maybe the glass ceiling, is it at the top or has it dropped down a notch? I’m very aware of that. I see it. Women have a lot to offer … but you know half the problem is because there are so few of us and there are so few top positions for women to go to, we kind of step on each other. And I think that’s why maybe my book would be called Leave It At the Door or Life on the Short List, or something like that. We’ve got to learn that we’ve got to help each other. Weekend Conversation is edited for brevity and clarity.